Bermuda native Rosemary Jones provides her firsthand experience and honest insight into the best the island has to offer. From shopping for duty-free treasures in the capital of Hamilton to exploring St. George's (home of the island's first settlers) to lounging in luxurious beachfront hotels, Moon Bermuda guides readers-both on and off the beaten path. 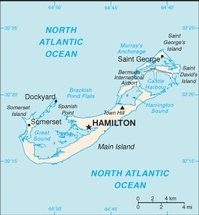 Jones offers creative and unique travel ideas, such as Best of Bermuda Fort Tour, Kid Fun, Best Beaches, and Eco-Tour of Bermuda. The most up-to-date guide available for this popular, year-round destination, featuring outstanding full-colour photography. Places of interest are cross-referenced on full-colour maps throughout the guide, whilst additional maps can be found within the front and back covers, providing instant orientation and easy navigation. In-depth features on history give a rare insight into topics ranging from the Silk route and the journey from slavery to harmony on the island. Culture topics are equally diverse, covering everything from arts and entertainment to international ball games. The guide also features comprehensive information on eating out, nightlife, shopping, travelling with children and accommodation suitable for all budgets. Useful contact information and many other travel tips are also included. The handy pocket-size guide is packed with useful information, tips and recommendations, accompanied by colour photographs, charts and maps for the first-time traveller who wants to experience the major highlights that Bermuda has to offer. 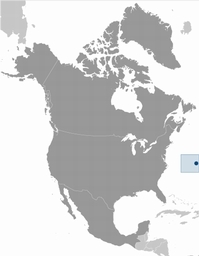 The fold-out map of Bermuda is ideal for tourists and visitors. Includes: City of Hamilton, St George's Parish,Hamilton Parish,Smith's Parish,Devonshire Parish,Pembroke Parish,Paget Parish,Warwick Parish,Southhampton Parish,Sandy's Parish. This guide aims to give the reader a general overview of Bermuda's birds in an easy to read and understandable format. Although there are only 22 resident breeding bird species, the complex array of migrants and vagrants that visit the island every year have resulted in a list of approximately 360 different species. Illustrated throughout with colour photographs, the book contains full accounts of the more common species found in Bermuda, along with all the resident species and the two endemics. Bestellingen Boeken en/of kaarten bestellen is eenvoudig. Als u bestelt vanuit het buitenland: de BIC-code is INGBNL2A .